Happy New Year! 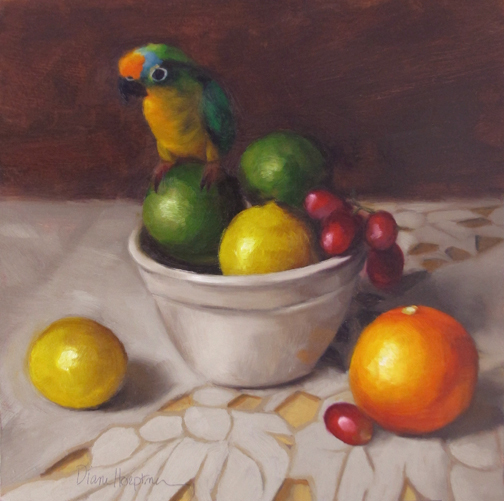 ...and here's "Bird Meets Fruit." It's refreshing to paint a new subject. Maybe a few more bird combos before I come back around to kitty cats. Like it, a fun change! Have a great 2016. Ohhh, I love the bird in there!! Wonderful painting!! My eyes have be bopped all over this lovely painting. You feature animal's personalities so beautifully, Diane. Happy 2016 to you!